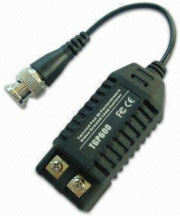 CCTV Ground loop isolator. BNC male to BNC female. Prevents video-signal distortion caused by ground loops. Eliminates picture tearing, cross talk and rolling.